For the first time ever, a million dollars has been given away on an Australian daily game show. 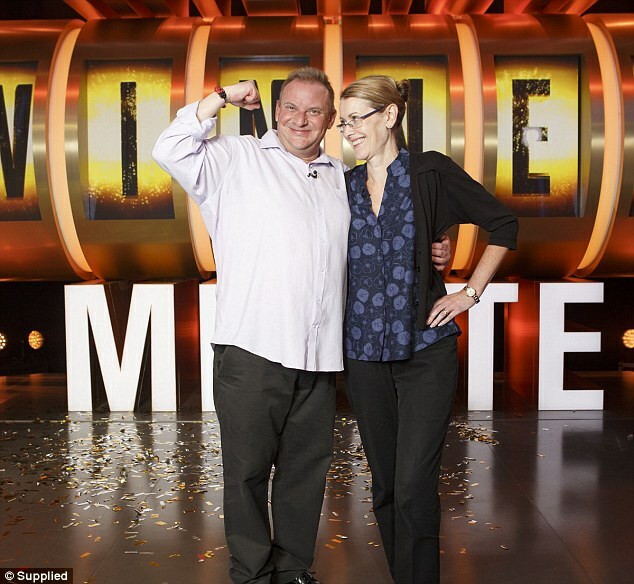 Andrew Skarbek, a 47 year old cancer survivor from Melbourne, became the first person to beat Channel 7’s Million Dollar Minute and take home the million dollar top prize. Through 23 games, and five attempts at the top prize, Andrew leaves with a grand total of $1,016,000, the largest prize ever given away in Australian game show history. Andrew started his journey weeks ago, having to beat two competitors on each program in order to advance to the Million Dollar Minute end game. There, Andrew must answer five questions correctly in the minute to advance up the bonus tree. It starts at $20,000 on minute win one and advances to the million for minute win nine (with safe havens after three wins at $75,000 and six wins at $300,000). Last week Andrew risked $750,000 to go for the top prize and after five attempts, he pulled out the big win. Andrew’s final question asked, “The Burke and Wills expedition left Melbourne in which year?” He correctly answered 1860 to drop the confetti and take home the big prize. You can watch the big win above. Andrew is the second person to attempt to go for the million and only the first to win it. He competed in 23 shows total. Huge congratulations to Andrew. It’s always great to see a record be broken and someone’s life change in front of our eyes, and it’s especially great when it happens to someone as deserving as Andrew. You can read more from Andrew on The Daily Mail.